Eden Care Services is a family run home care provider based in Macclesfield. Our offices are wheelchair friendly and conveniently located in the town centre. Eden Care Services provide person centred care packages tailored to meet the needs of each individual. We have a dedicated team of experienced care assistants and managers all of whom are trained in house. All staff are DBS checked, have a full work history check and two references. Contact us now for Home Care in Macclesfield. Eden Care Services provide a wide range of services from personal care, toileting, medication administration, food preparation to escorted visits for appointments, shopping, and pet care. Our dedicated Team Leader will meet with you to put together your personal care plan for Home Care Macclesfield, risk assessments and ensure all paperwork is signed and in place before your care starts, giving you added peace of mind that all your requirements are documented and met by our staff. 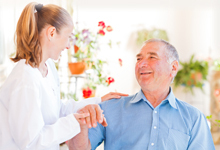 Our wide range of personal care services can be split into, home care services and practical care services. How can Eden Care Services help you? Contact us and let us know..
With over 13 years of experience taking care of the elderly, and assisting people live their lives in comfort, our carers are very well equipped to take care of any personal care requirements you may have. 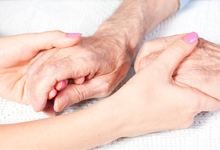 Access top-quality care for the personal needs of your loved ones. With our well-trained, compassionate carers around, you can be assured that your loved one will have all the help they need to lead a very comfortable life. As a highly respected family run personal care service in Macclesfield for over 13 years, we are very well established. If you want to join our family of dedicated professionals, take a look at our current openings.